209: Thursday Training, Fav Work-out This Week #2. 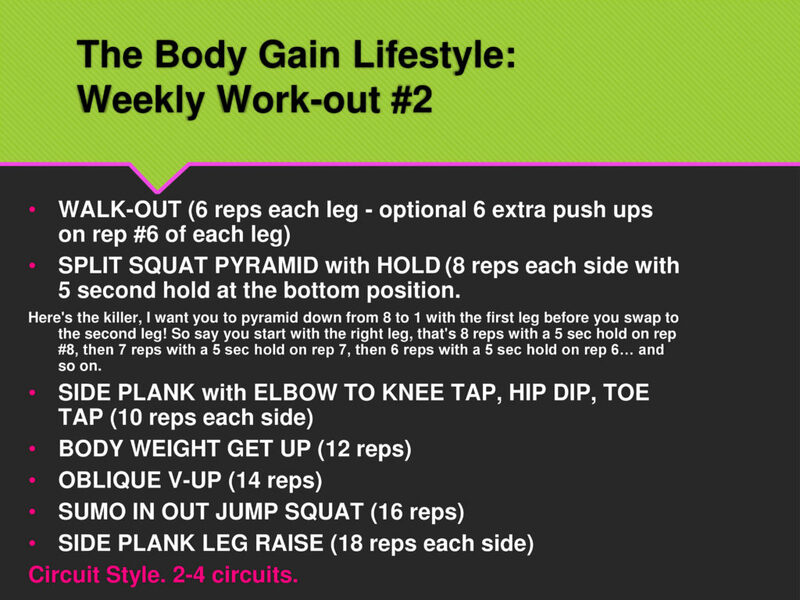 In today’s training show I’m sharing an equipment free body weight routine I designed for a client to do at home. This client is super focused and has seen some ultra amazing results – proud of you Jess! – she trains weights with me 2 days a week, comes to my X-training group class 2 days a week and walks on the days she doesn’t see me. Even more importantly she’s got her nutrition dialled in. This program is for the occasion when she can’t get to the gym, perhaps her husband needs to be at work by 7am or something… the takeaway is that if YOUR normal routine isn’t doable you need a work around. With that in mind here is a routine for you to turn to when you can’t get to the gym… or out for that walk… or whatever your preferred way to exercise happens to be. 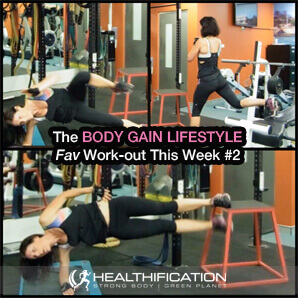 Maybe when you check out some of my fav moves in this routine training at home equipment free may become your fav way to exercise! In all seriousness this is pretty much the routine I would do if I had access to nothing equipment-wise. The main consideration with zero-equipment is that back is going to be the body-part you miss out. So when you do get back to the gym – or even near a bar for some pull-ups or chin-ups – you know what to work back in straight away right? Because a toned back is hot… and it’s also super important for good posture. It’s designed to be performed circuit slide for 3 circuits… however 1 counts and 5 rocks! Repetitions are different for every exercise… just because I like little patterns (!) exercise one will have 6 reps and with each exercise we add a couple of reps so exercise 7 has 18 reps. I’ll clarify as we go though. So again for this work-out you’re looking to do it circuit style. Anywhere from 1-5 circuits. To get actionable today, you guessed it – it’s got to be try this work-out right? If there’s anything you’re not sure of please leave me a comment below and I’ll provide you with an explanation or alternative. That’s it for me today. I’d super appreciate your feedback on whether to keep the work-out of the week? 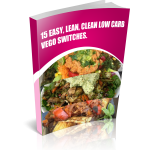 I hope you can join me tomorrow for the Friday FAQ show where I cover, How YOU Can Rock The Body Gain Lifestyle! If you liked this you’ll also like: Fat Loss Discipline: Your most important training session this week.